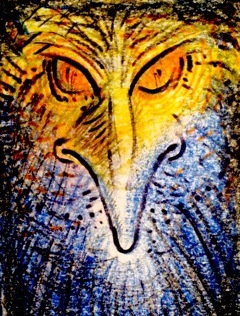 Amariah has transmitted messages for souls that are Avian Extraterrestrials on Earth missions. 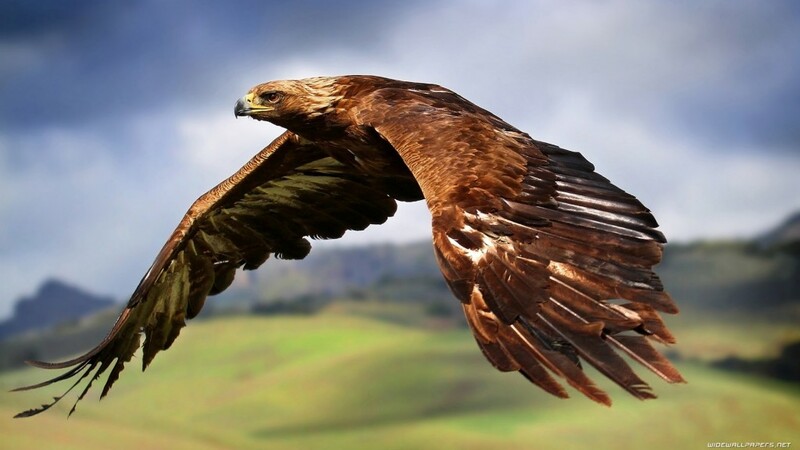 The oldest of Avian ETs or Bird Beings came from another Universe into this one and have since propagated many galaxies and have a multitude of forms and fascinating histories as you can surmise by the information in these personal readings below. You can also read a summary of what Amariah has received about these majestic Avians in general. SOUL CONNECT READING through AMariah (2015) for 52 yr old German man. Soul Name: Zaval. Meaning Honor. Translated into letters and sound vibrations that match your soul history and origin. Place of Origin: (Part of the Universe where your soul was born ) Lyra Constellation. Planet called Betroth (translated). Evolution Path: (Overview of your soul development ~ places and species, as applicable) One of first Bird Species seeded, as in genetically and energetically created, from the 12D Avian Race that came from another universe. Evolved through many sentient Avian beings to higher awareness and no longer need incarnate form. Incarnations: (Most pertinent species or Earthly incarnations) Your soul has lived as Bird being for most of its long existence. Actually mated with human Earthling in ancient Sumerian era and produced genetically modified offspring. These forms were taken from Earth to live in the Andromeda Galaxy and are called the Avatkara. Highest Level of Development/Species: (Current most evolved form/dimensional awareness) 8th dimensional pure Avian being. From species known as the Avat. Soul Character/Motives: (Personality or driving motivations) Strong will and drive for innovation and enhancing abilities of Avian and related races. Honorable and devoted. Connected to Earth since the Sumerian incident and have sense of responsibility for the new race now prospering in Andromeda. There is a desire of higher self to be a part of the next evolution in Earth humans, since you deem them to be ancestral to the Avatkara human/avian hybrids that are also evolving into a 4D awareness as are Earth humans. You and the Earth human you mated with, are the father and mother of the race. Soul Inclinations/Abilities: (Areas of interest or prominent activities) Wide perspective on potentials of genetic hybridizations related to Avian advancements. Your soul has been involved in study of, and aiding in, advancing Avian evolution throughout the Universe. The scope of the 8D consciousness is to focus on integrating separates into a greater wholeness. Your species is completely able to teleport and can materialize in various dimensional realities, as bird species. You use this ability for your work. This Life Incarnation Purpose: (Your soul motives for incarnating in this current life) You incarnated for greater understanding of the ancestors of the Avatkara and the comparison of their evolution to that of Earth humans. This obviously is not conscious in you, but your interests and seeking is related to this soul urge to know where human potential is going. This Life Incarnation Challenges: (Difficulties you face in this incarnation) As an Avian soul within the confines of a human 3D body, you are naturally often uncomfortable and wish to free up from the limits of human intellect. This can be frustrating. You were born in an Earth sign as attempt to ground your mind, but it is still a challenge to straddle this reality. Your thoughts are often beyond what you feel you are capable of surmounting. Current incarnation Species DNA: (DNA influences in this life) Your current bloodline is as close to pure human genetics as possible. You are living in a body that has an ancestral link to the Sumerian Queen that you mated with to create the Avatkara. Soul Message: (Guiding message or mantra from your over soul) Be content that you are learning of the qualities that make the Avatkara unique among Avians and helping them to reconcile parts of their nature that are still perplexing to them, having been pulled from that heritage to begin anew with no human direction, only Avian. Your soul is being of service in this role. Place of Origin: (Part of the Universe where your soul was born) Star forming Nebula in Orion Constellation. Evolution Path/ Incarnations: (Overview of soul development ~ Most pertinent species or incarnations) From star dust to part of a star to land as photons on Aerealus in the Orion Constellation region of the Milky Way where you soon incarnated into a local bird being. Developed for millions of years among the Aerealan Avians working mostly in the area of gathering new ideas and then in the integration of concepts from other species throughout the universe. One of your focuses of exploration has been with human evolution and with hybrid avian human species. Level of Development/Species: (Current most evolved form/dimensional awareness) Osirus took a path in consecutive order from the first to the eighth dimension mostly within pure Avian species. Soul Character/Motives: (Personality or driving motivations) Your greater soul as Osirus is intensely interested in exploring many ideas and combining them in new ways or simply adding them to the repertoire of Avian knowledge. There is a strong motive to improve and share ideas to help the species establish something new. Soul Inclinations/Abilities: (Areas of interest or prominent activities) Your soul is not so much of a creative mind, but more of one that finds creativity from many sources and is able to integrate them in new ways and work with teams of inventors and such to find even more meaning or better uses by combining ideas. Osirus is also involved in then marketing, so to speak, these ideas to an audience of peers and within the Avian community. This Life Incarnation Purpose: (Your soul motives for incarnating in this current life) This life was a venture of service to the evolving Earth and human species. There is only a part of the whole consciousness of Osirus residing within your current form, but you carry the Avian essence and motive to expand the horizons of perspective still. Anything you do toward that end is living your purpose in being incarnated. Even if it is through your children alone, you are having an impact on thought vibrational change. This Life Incarnation Challenges: (Difficulties you face in this incarnation) Something within is always reaching beyond what you feel you are capable of in 3D, which is excellent, but also you may feel that you can’t do enough or don’t know where to go within such confines. Your challenge is to simply do what you can in each day and allow yourself to stretch your wings of thought without getting bogged down in the small stuff. Try to expand to a bird’s eye view and see a full circle of connection in experiences and concepts. This will be more satisfying. Current incarnation Species DNA: (DNA influences in this life) There is no Avian DNA within the Earth human race, but your family bloodline goes back to a time when there were Avian ET visitors to Earth, and thus your ancestors had an association with these beings. Soul Message: (Guiding message or mantra from your over soul) Take in as much of the overall concepts of interest to you as possible and allow your keen mind to synthesize the parts into a balanced whole that transcends the meaning of the separate parts themselves.